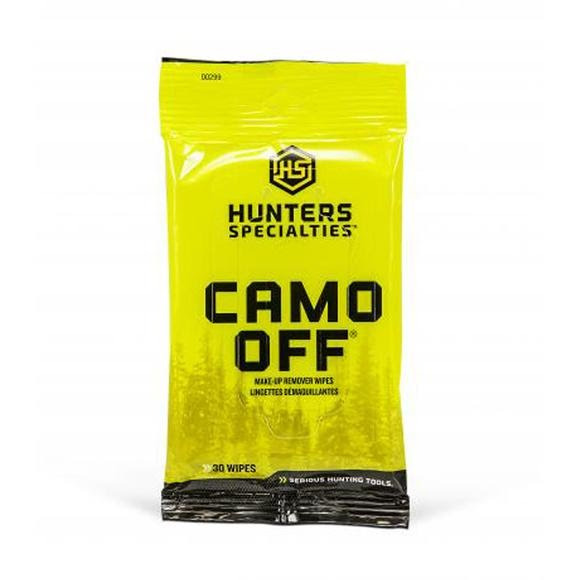 Disposable 7" x 4" wipes are specially formulated to remove Hunters Specialties Camo-Compac® and Camo Creme makeup. Clean up fast when soap and water isn't handy before heading back to town. Each pack contains 30 wipes. Disposable 7" x 4" wipes are specially formulated to remove Hunters Specialties Camo-Compac® and Camo Creme makeup. Clean up fast when soap and water isn&apos;t handy before heading back to town. Each pack contains 30 wipes.